Chemicals in hair gels can be harsh on the scalp and hair. Prolonged use of gels can lead to premature greying of hair. Hair may also become dry and curly. Use natural hair gels to get your desired look. Grooming has never been a new thing for us, but over the past few years, hair gels have evolved and earned significant status in the world of hair styling. For guys, styling gel is a tool that can help them achieve any look. But! Yes, there is the curious case of 'but' with hair styling gels. You may not know it, but most hair gels contain ingredients that can do more harm to your hair than good. Hair gels contain several ingredients that can be harmful. One such example is alcohol, which is present in most gels and can de-moisture the scalp and dry out hair. However, there is no need to get disappointed because you can make your own natural hair styling gel. Ingredients required to make this hair styling gel include ¼-cup of flax seeds, 2 cups of water and 1-tablespoonful of aloe vera gel. First, soak the flaxseeds in water either for 6 to 8 hours or overnight to reduce cooking time and enhance gel yield. However, this step is optional. You can also add the flaxseeds to boiling water and keep stirring the mixture in between. Take a spoon test to know if your gel is ready or not. If the drip drops quickly, the mixture needs cooking for some more time. However, make sure you don’t overheat it, as it may cause your gel to get extra thick. When ready, the mixture will appear thick and gelatinous. Turn off the heat, strain the mixture into a bowl and let it cool. Once it's cooled, mix it with aloe vera gel to increase its moisture and therapeutic properties. Ingredients you will need to make your natural hair styling gel with gelatine include 1 cup of water and 1 teaspoonful of unflavoured gelatine. Boil the water and pour it in a glass jar. 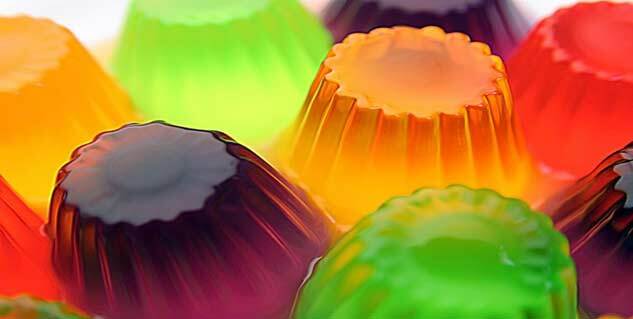 Now mix 1 teaspoonful of unflavoured gelatine to it as flavoured gelatin contains sugar and dyes that are not good for your hair. You can add essential oil to it for fragrance. Stir the mixture well and cover the jar with a lid. Now, you will need to keep your jar in the refrigerator for a couple of hours to set the gel. Once the gel is set, you can style your hair with it. You can also use aloe vera gel to style your hair. Just take a pea-sized amount of aloe vera gel in your hands and then run your hands through your hair. So, why harm your hair with all those chemical-based hair styling gels? Prepare your own gel at home and flaunt the latest hairstyle without any worry.